A cloud service is any service made available to users on demand via the Internet from a cloud computing provider’s servers as opposed to being provided from a company’s own on-premises servers. A cloud service can dynamically scale to meet the needs of its users, and because the service provider supplies the hardware and software necessary for the service, there’s no need for a company to provision or deploy its own resources or allocate IT staff to manage the service. Examples of cloud services include online data storage and backup solutions, Web-based e-mail services, hosted office suites and document collaboration services, database processing, managed technical support services and more. With Cloud Environment, we provide a predominant service of the entire back end infrastructure, security, backups and overall IT management of your desktop environment. Moving your IT infrastructure to a cloud solution with Cloud Technologies will help you eliminate those expensive maintenance and upgrade costs that are usually associated with technology.It’s no longer about the tethered desktop; it’s about your users and their devices, their applications and access to data. Anytime and anywhere. 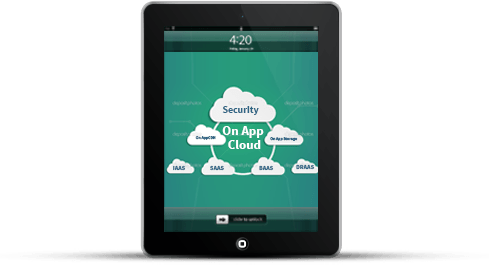 Your team expect access to Line-of-Business (LOB) applications – anytime, anywhere, and across all devices. Providing a great support on a new generation of employees who are accustomed to more personalized workplaces and flexible working conditions is critical for the overall success and productivity of your organization. Cloud servers and desktops have never been cheaper or easier to migrate to, and we believe your business will greatly benefit from moving to a cloud based solution with us. Cloud based solutions provide you the power to grow or lessen with your business model. Not a huge investment required on aging technology when using cloud solutions. Cloud solutions offer the power to create truly surplus IT hardware for your organization. If you’re facing issue with server or desktop, you can immediately launch new ones within minutes. Cloud servers and desktops provide security gain such as isolated data. Under cloud solutions, little to no sensitive data resides in your own local network, making data breaches less likely. Using a hosted desktop strategy can importantly reduce the price and time it takes to provide users with desktops, typically saving businesses between 30 and 50 per cent from their IT budgets over a four year period (the lifetime of a typical server). The tendency to reduce the cost of IT is a key driver for just about every customer. 3F sighted customers save a huge amount of time and money by choosing to use a managed cloud service for IT functions like backup and DR. However, customers are now seeing the benefit of virtual desktop services in reducing the hardware footprint and the need for administration including performing software updates and IT security management. 3F offers a wide range of services from cloud solutions to emails, backups and disaster recovery, as we have the right solutions for your business. Every business requires a computing infrastructure that can quickly adapt to their needs. 3F Cloud Center is a fully Managed Cloud Solution that provides the flexibility to meet your evolving business needs.